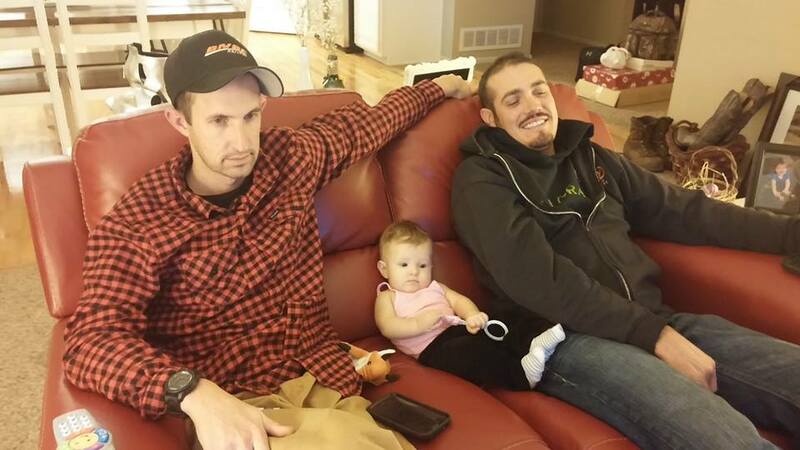 Hangin’ with Daddy & Uncle Chance! Cutest ever! I can’t wait to meet you Belle! Cutie patootie, love you! Must be the Broncos playing since she is watching so intently.